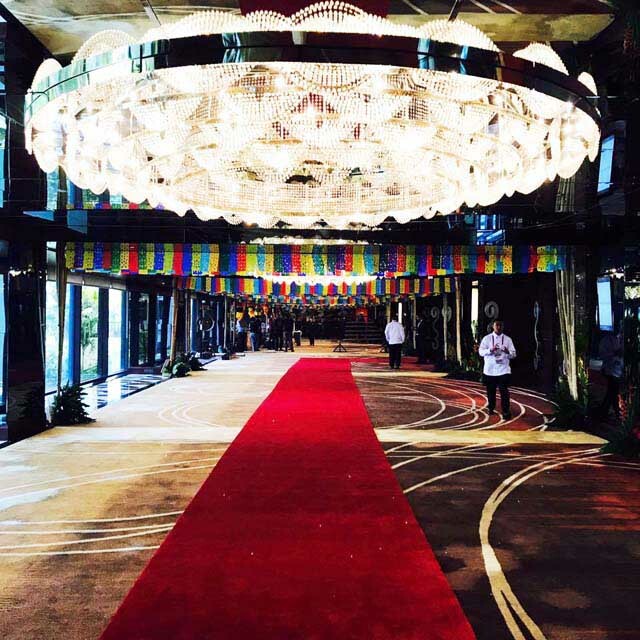 You may have watched the news about the ASEAN leaders and presidents at this gala, but Real Living also noticed the fantastic design and styling! Check out the beautiful and uniquely Filipino details seen at this dinner. Your newsfeed may have been filled with live clips and articles about the recently concluded ASEAN Leaders’ Summit, with the regions’ important leaders such as the Sultan of Brunei Hassanal Bolkiah, Indonesian President Joko Widodo, Myanmar’s State Counsellor Aung San Suu Kyi, among many others, attending the many events and ceremonies. 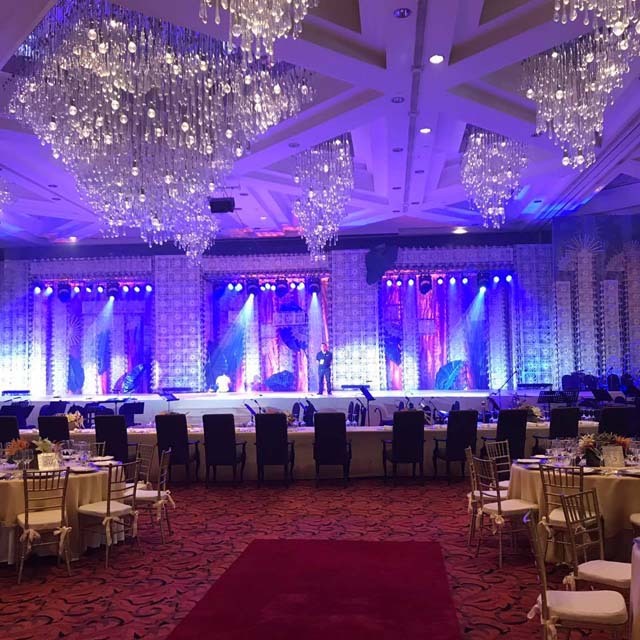 But the culminating event was the ASEAN Gala Dinner held last April 29, 2017, at the Sofitel Philippine Plaza Hotel Manila, and it was by far, the most visually impressive. 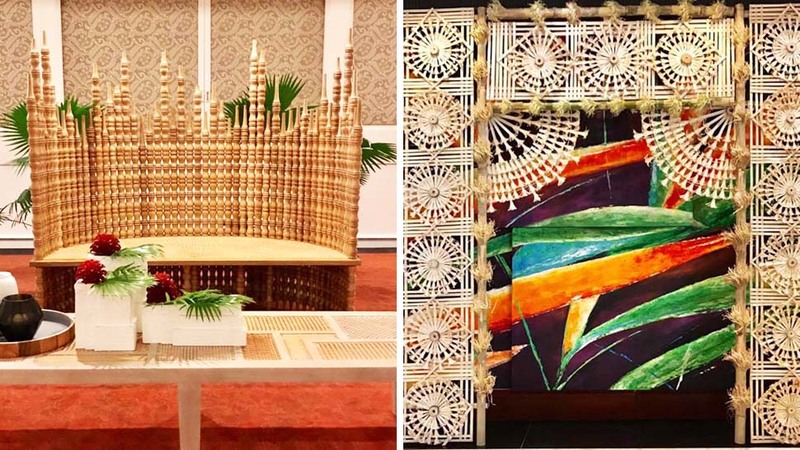 The various heads of state and their spouses were welcomed at the hotel with ornate bamboo welcome arches, colorful banderitas, original Filipino furniture, and other heady elements that are emblematic of Filipino culture. 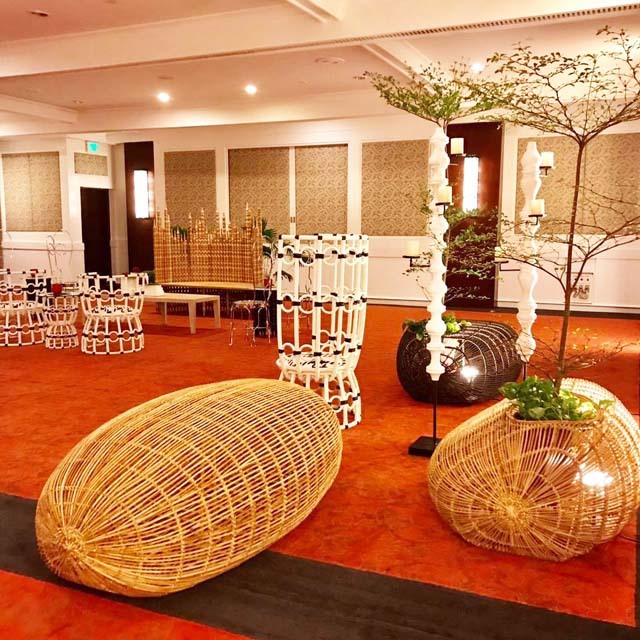 “The overall theme of the dinner was a Fiesta,” says Eric Cruz, head of the Production Design and Technical Services Department of the Cultural Center of the Philippines (CCP). Cruz, along with the rest of his team, designed and set up the exterior driveway, VIP entrance of the leaders, the foyer leading to the ballroom, the ballroom, and the massive stage for this gala dinner. “So it’s like a Fiesta, and it celebrates our country’s musicality, dance, food, and other cultural experiences.” He adds that this was the reason the Singkaban welcome arch is a recurring theme and element in the whole design. It was also the ASEAN’s 50th anniversary, so there was emphasis on the celebratory part of the event. 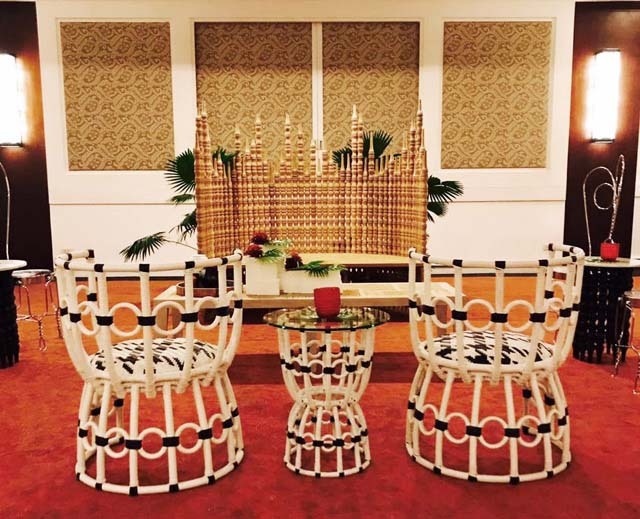 Furniture designer, visual storyteller, and KISH owner Ito Kish decorated the modern-Filipino-themed holding room and lounge of the ASEAN leaders. “It was such a good experience, even if I was brought in just two weeks before,” says Kish. Check out the rest of the photos below for the full ASEAN-Filipino experience. The Binhi, Kish’s rattan-and-aluminum seat/planter, recently won the Golden A’ Design Award in Como, Italy. Kish’s other famous furniture and decorative pieces such as the award-winning Gregoria chair (main photo, left), B-luxe batibot chairs, Basilisa seating, whimsical black-and-white Julia chairs, and Metropolitan Theater-inspired Arellano bone china vases on Basilisa coffee tables (above) completed his modern take on Filipino motifs and design. This was the impressive, 40-foot-long stage you’ve seen on TV while watching President Rodrigo Duterte make his speech. You would have noticed the intricate bamboo designs of the stage, which is the singkaban. The Singkaban is originally an annual fiesta in the province of Bulacan, but it also the name of the province’s decorated welcome arch, which is one of the main, recurring motifs in the Gala Dinner’s design theme. These Singkaban arches can be found throughout the dinner venue and other public spaces. 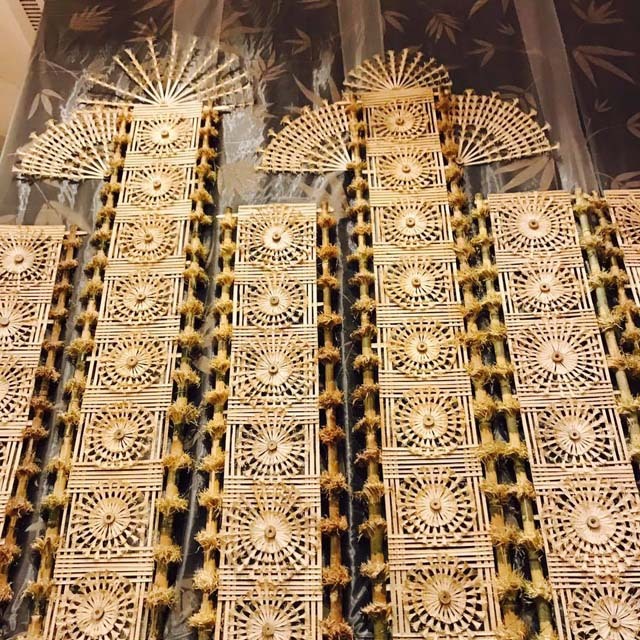 The welcome arches are made out of bamboo poles and bamboo shavings, painstakingly put together by the family of Tata Kiko Eligio, masters of the Singkaban craft in Hagonoy, Bulacan. “This Filipino craft has been passed on to other generations, and thankfully, they are keeping it alive,” says Cruz. Cruz adds that the fiesta also symbolizes “a bountiful harvest,” and this is seen in the buffet dessert stations that are not only bursting with Philippine fruits, halo-halo ingredients, local sweets, including borlas de pastillas, with their wrappers falling over the edge of the table, forming part of the décor. 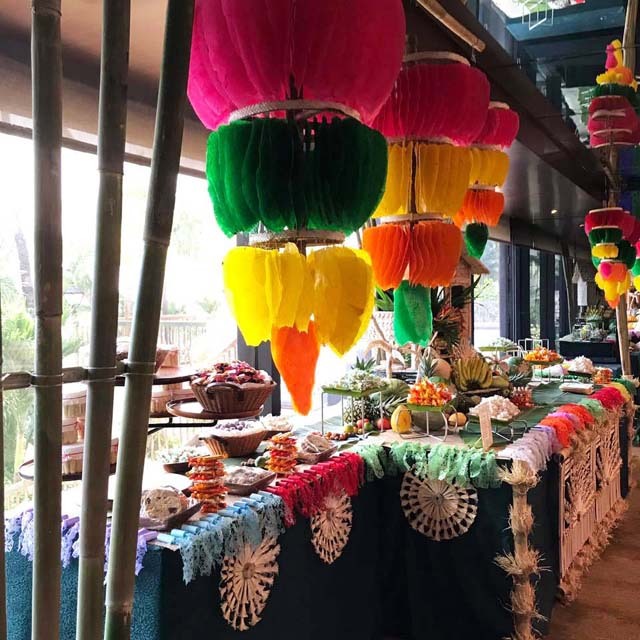 The buffet table is also decorated with more Singkaban ornaments, and colorful kiping (rice paste paper) hangings. 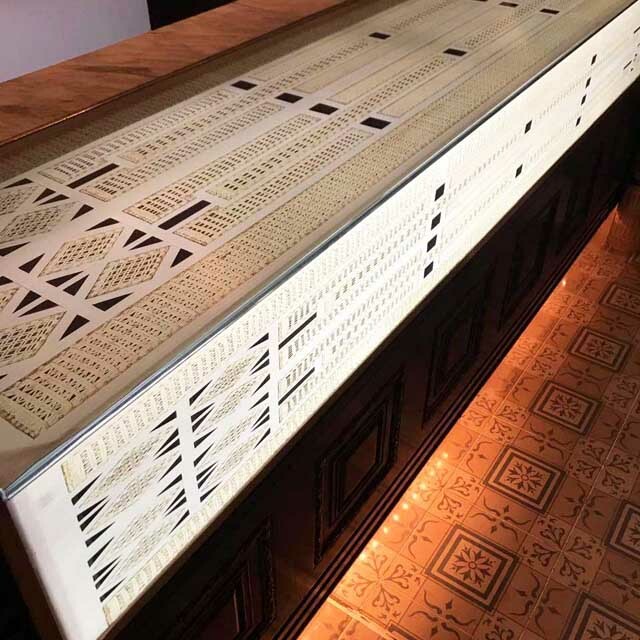 Ito Kish helped style Le Bar, which is the long bar-dining area located at the lobby of Sofitel Hotel. 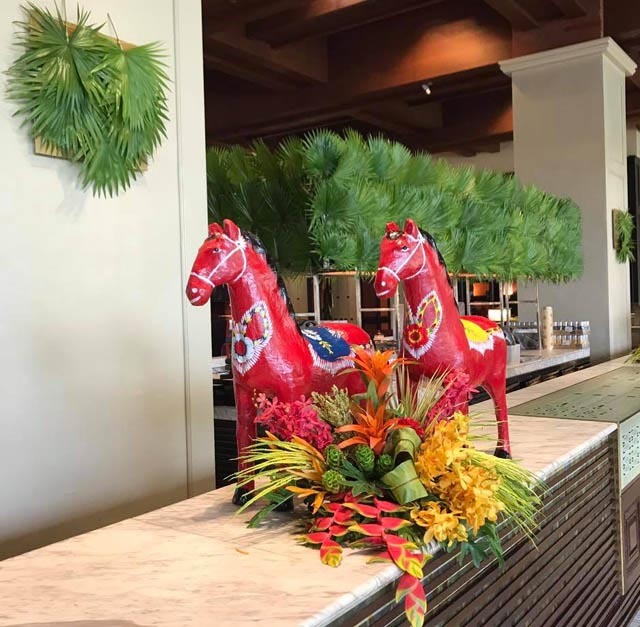 He decorated parts of the bar with multiple layers of fresh anahaw leaves, local flora, and papier mache taka horses from Paete, Laguna.